Are you thinking of becoming a podcast sponsor? Great - but what does that mean, exactly? In the grand scheme of media advertising, podcasts are pretty new, but they've become a powerful way to connect with audiences and potential customers in a novel way. 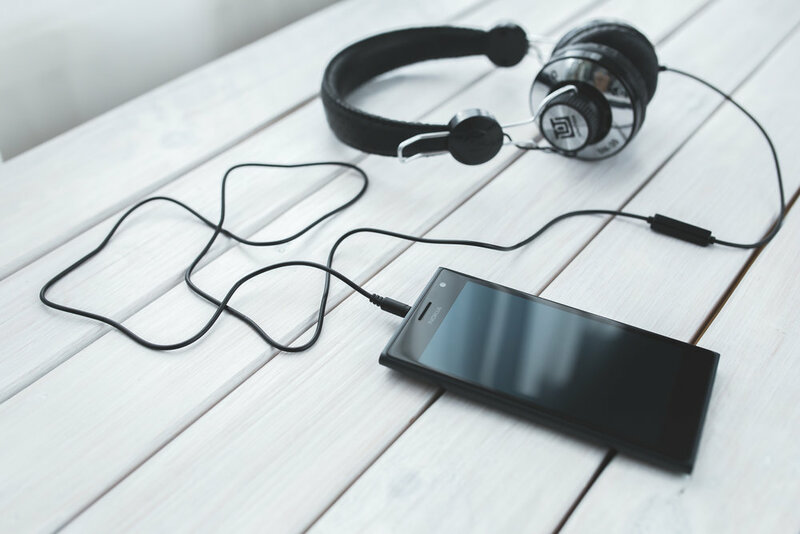 An online search of podcast advertising reveals an industry that has developed a number of specialized terms, methods, and best practices for marketing with podcasts. How one approaches a TV advertisement isn't going to work very well on a podcast. And a podcast isn't exactly a radio show either - the two are similar, but reusing your commercial radio ad on a podcast will lead to poor conversion and be a waste of money. So here's our primer on podcast advertising - all about the podcast, the podcast ad, what the ad sounds like, and what it costs. First, the basics. The word "podcast" is a combination of two words - "iPod" and "broadcast". The concept originally came from the early days of Apple's iPod music player and later its iTunes music service. "Podcast" has since become a platform and industry of its own, still connected to but not simply a part of the iPod/iTunes universe. In the last ten years, those working in the industry have created iterations of the word like "pod", "podcaster", and many others. In its most basic form, a podcast is a pre-recorded, on-demand audio file, distributed over the Internet through a channel called an RSS feed. These days most listeners access their podcasts through a variety of smartphone apps - Apple Podcasts, Spotify, Google Play, Pocket Casts, and Overcast, to name a few. These apps - also called "podcatchers" - maintain searchable podcast directories and sort podcasts by content category. Once a listener finds and subscribes to a podcast, she receives automatic downloads of new podcast episodes whenever one is published to the RSS feed. Compared to the clunky and arcane podcast technology of the mid-2000s, podcast listening in 2017 is accessible, quick to setup, and only requires a smartphone with an Internet connection. A podcast episode from one of Backyard Media's podcast partners, Hi-Phi Nation, which explores concepts in philosophy through storytelling. The content of podcasts can vary widely, depending on the show. Comedy, politics, science, narrative storytelling, investigative journalism, interviews and round-table discussions, business, religion and spirituality, gaming, and relationship advice are all podcast genres. If you can think of a podcast topic, someone has probably tried it at one point. Which is to say that no matter what product or service you're selling, there is a specialized and engaged podcast audience out there that wants to know about it. No matter the genre, podcasts always have a host. A podcast can have multiple people speaking at various points throughout the show, but there is always at least one person who serves as the primary host, managing the show's direction and guiding the listener through the show's segments. What are the different types of podcast ads? The "pre-roll" (15 - 30 seconds) - Placed before the podcast's content begins, either just before or just after the host introduces the show. A pre-roll is often shorter than other ad types, averaging anywhere from 15 to 30 seconds. The pre-roll is great for ensuring that any listener who starts the podcast episode will hear the ad (although most podcast listeners do finish a podcast episode once they've started it). The "mid-roll" (60 - 90 seconds) - The most popular type of podcast ad. The "mid-roll", as you may have guessed, goes in the middle of the podcast episode. The host will take a break from the content to introduce the sponsor and read the ad. These ads are often longer, as the listener is already engaged with the podcast at this point in the show, having listened for anywhere between 15 to 30 minutes. A podcast, depending on its length, can have between one and four mid-rolls per episode. The "post-roll" (20 - 30 seconds) - Coming in at the end of the podcast, the post-roll can reinforce a call-to-action, especially in conjunction with a pre-roll in the same episode. The post-roll either comes in between the last show segment and the podcast's outro, or at the very end of the episode. An ad with a promotional code can work particularly well as a post-roll - listeners are still engaged with the podcast but no longer have to keep the show's topic top of mind, and thus can better remember promotional codes and website addresses. What does a podcast ad sound like, and who reads it? Don't worry, you don't need to break out a mic and record a voice-over of your ad. Podcast ads are almost always read by the podcast host. This is by design - listeners are already familiar with the host and the host's voice, so the ad feels less intrusive and more a part of the podcast itself. Hosts also bring credibility and a personal touch to an ad. An ad can consist of a host reading an ad script, but the most impactful podcast ads are those where the host knows the product or service in question, and can give personal anecdotes about what they like about the product they're promoting. Remember that for many podcasts, listeners feel they have a personal connection with the host. They've listened to hours of the host speaking into their ears about topics they care about. Good hosts build up a level of authority with their audience. Because of this, a real anecdote from a host feels more like a product recommendation from a friend than a formal sales pitch. There are also two broad categories of ad reads - a "live read" and a"recorded read". A "live read" is just that - the host stops the show, introduces the sponsor, and reads the ad copy. Once the ad is over, the host picks up where the show left off. These ads can feel like they naturally fit into the flow of the show, as if the host is taking a break from the content to chat with the listeners. Live reads also provide a great opportunity for the host to ad-lib a story or anecdote, or to inject their own humor into the ad. All of these personal touches entice an audience to listen through the entire ad, as if it were part of the show's content. Some podcasts are well-known for having great, on-the-spot live reads, and listeners look forward to the stories and humor that hosts bring to them. The other type of ad read is a"recorded read". This is a pre-recorded ad, read by the host and to be inserted later into the show. While these ads aren't done during the live recording, hosts can still use personal anecdotes or explain why they like the sponsor's product or service. Recorded reads are good for lengthier ad copy, or for an ad that has a very specific set of goals. A host doing a recorded read can record multiple takes to ensure that they've hit every point the sponsor has requested. What does a podcast ad cost? The short answer: it depends on a couple of factors. Podcast ad rates are expressed using the same unit as many types of media advertising - CPM (cost per mille, or cost per thousand listeners). For example, a mid-roll CPM for a hypothetical podcast might be $30. If the episode the ad was placed in gets 10,000 downloads, then it has reached 10,000 listeners. Since CPM is the cost per 1,000 listeners, the ad's total cost will be ten times that amount, or $300. Potential sponsors can request information about CPM rates for podcasts they're considering before they decide to buy an ad. Potential sponsors will notice that podcasts have higher CPMs than radio, video, and web advertising. This is because podcasts convert at a higher rate than any other form of online advertising. Podcast audiences are well-educated, have above-average incomes, and are uniquely engaged with the medium. Podcast episodes also have a lower "ad load" - any particular episode will see at most a couple of ads over the course of 30 to 90 minutes (compare this to commercial radio, which has an ad load at least three times higher, playing on average 10 to 12 minutes of ads per radio hour). The podcast ads that do play, then, become much more memorable for the audience. And as we've already discussed, the ads benefit from a direct endorsement by the podcast host, a trusted source. This is only a taste of the world of podcast advertising. It's an exciting space to be in right now, and over the next few weeks and months, we at Backyard Media will dig into all aspects of this business so that you have the information you need to decide how to invest in ads with our one-of-a-kind podcast partners. We want you to feel confident that your ad buys will lead to better brand recognition, higher product sales, and happy customers.